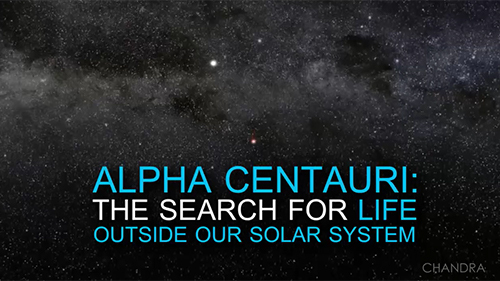 In humanity's search for life outside our Solar System, one of the best places to look is Alpha Centauri, a system containing the three nearest stars beyond the Sun. A new study that has involved monitoring of Alpha Centauri for more than a decade by NASA's Chandra X-ray Observatory provides encouraging news about one key aspect of planetary habitability. 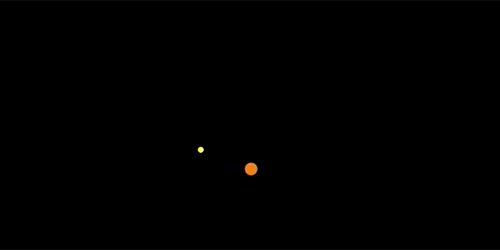 It indicates that any planets orbiting the two brightest stars in the Alpha Cen system are likely not being pummeled by large amounts of X-ray radiation from their host stars. The stars in the Alpha Centauri system include a pair called "A" and "B," that we'll call AB, which orbit relatively close to each other. Alpha Cen A is a near twin of our Sun in almost every way, including age, while Alpha Cen B is somewhat smaller and dimmer but still quite similar to the Sun. The third member, Alpha Cen C (also known as Proxima), is a much smaller red dwarf star that travels around the AB pair in a much larger orbit that takes it more than 10 thousand times farther from the AB pair than the Earth-Sun distance. Proxima currently holds the title of the nearest star to Earth, although AB is a very close second. The Chandra data reveal that the prospects for life in terms of current X-ray bombardment are actually better around Alpha Cen A than for the Sun, and Alpha Cen B fares only slightly worse. Proxima, on the other hand, is a type of active red dwarf star known to frequently send out dangerous flares of X-ray radiation, and is likely hostile to life. At a distance of only 25 trillion miles, the Alpha Centauri star system is a prime target in humanity's search for life outside our Solar System. Astronomers would like to know what kind of environment exists around the two stars in Alpha Centauri that closely resemble our Sun. To learn about this, NASA's Chandra X-ray Observatory has been monitoring the Alpha Centauri system every six months for over a decade. Chandra is the only X-ray observatory capable of resolving the two Sun-like stars to determine which star is doing what. A new study indicates these two stars are likely not pummeling any orbiting planets with large amounts of X-ray radiation. 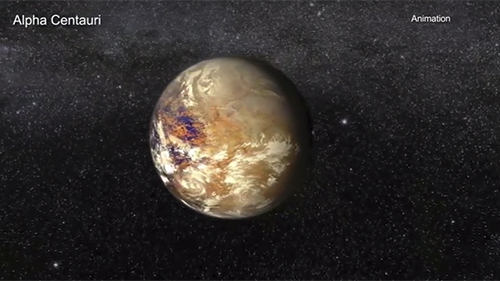 This is promising news for the sustainability of life on any planets astronomers find around these two nearby stars in the future.